Wolfgang "Pief" Panofsky (1919-2007) was a German-American physicist who became the director of the Stanford Linear Accelerator Center. The son of one of Europe's most prestigious art historians, Panofsky was born in Berlin. He and his family emigrated to the United States in the 1930s, and he received his Ph.D. from CalTech in 1942. Shortly thereafter he was naturalized as an American citizen. Panofsky was then recruited to Los Alamos by J. Robert Oppenheimer and Luis Alvarez, who were impressed with his research into the shockwaves of supersonic bullets. They thought such research could be applicable to measuring the yields of nuclear weapons, even though Panofsky had no prior experience with atomic energy. He served as a consultant to the Manhattan Project from 1944 until the end of the war, commuting to Los Alamos weekly from his home in Pasadena. Panofsky observed the Trinity test from an observational aircraft. The craft was supposed to deploy measurement tools but was limited to an observational role due to poor weather conditions. 1919 Apr 24th Born in Berlin, Germany. 1942 Received a Ph.D. in physics from CalTech. 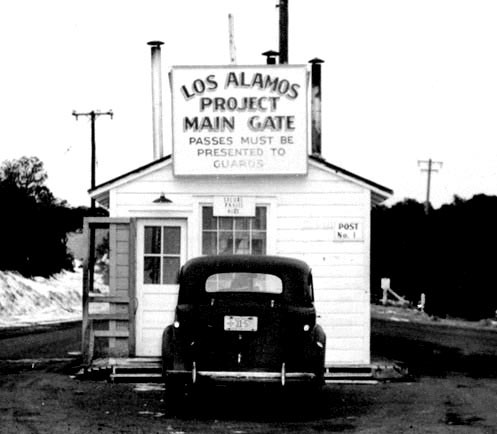 1944 to 1945 Worked on the Manhattan Project as a consultant.